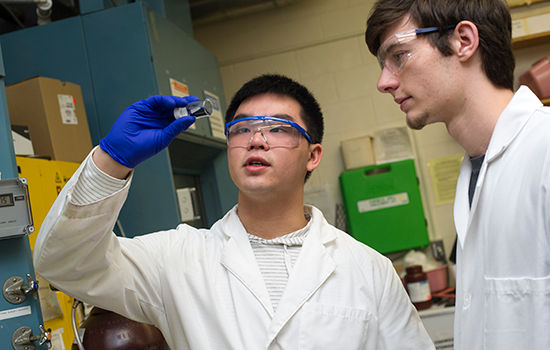 Jacky Lim, a fourth-year chemistry major from Amherst, N.H., is hoping that the imaging compound business he started with Ryan LeTourneau, a third-year chemistry student from Bowie, Md., will one day be used as an inexpensive and non-invasive method for the detection of cancer. Earlier this year, the team presented its business, Chemistry for a Cause, at the Tiger Tank competition, sponsored by Saunders College of Business and hosted by the Simone Center for Student Innovation and Entrepreneurship. Mariana Pinheiro, an industrial design graduate student from Brazil, loves bringing her projects to life. Her most recent undertaking, The Band Toy, is a series of interactive instruments designed to stimulate the senses of children with low-motor coordination skills through the use of textures, sounds, vibrations and light patterns. She hopes that youngsters with developmental and physical disabilities will soon benefit from using the educational toy she helped design. 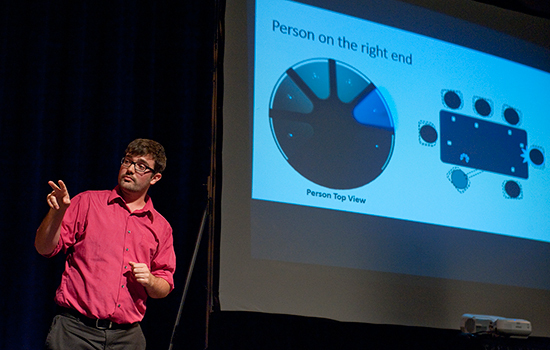 Pinheiro is among the growing number of students who are thriving in RIT’s uniquely designed, multidisciplinary innovation ecosystem— a system that has mushroomed over the past five years, with business competitions, events, programs and full-time experiences available to launch student ideas into the stratosphere. Resources such as mentors and coaches, innovation and entrepreneurship classes and the creation of The Construct, a dedicated makerspace on campus where students can create products and solutions, have all played key roles in the growth of RIT’s entrepreneurial spirit. Student participation in entrepreneurship activities has doubled—and in some cases, tripled—creating a robust pipeline of ideas. 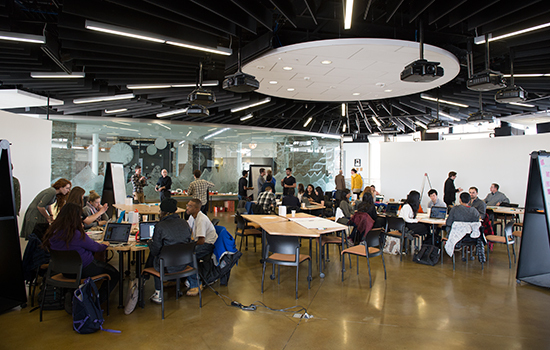 Richard DeMartino, professor and director of RIT’s Albert J. Simone Center for Student Innovation and Entrepreneurship, estimates that there are about 100 student projects underway this year, involving roughly 1,500 students—up from 40 projects a few years ago. In addition, more than 45 students are earning credit for their projects through RIT’s co-op program. Pinheiro has participated in several student-focused entrepreneurship activities and her ideas have been presented at Idea Lab, Tiger Tank, the Effective Access Technology Conference product competition. 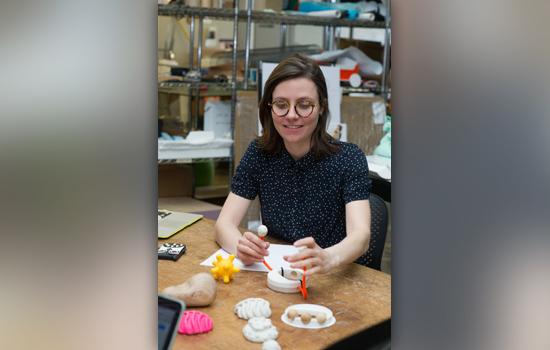 This past summer, she and her design team joined the Saunders Summer Start-Up program, an intensive incubation program where students earn a stipend to advance their business ideas, as well as Studio 930, a design consultancy at RIT. 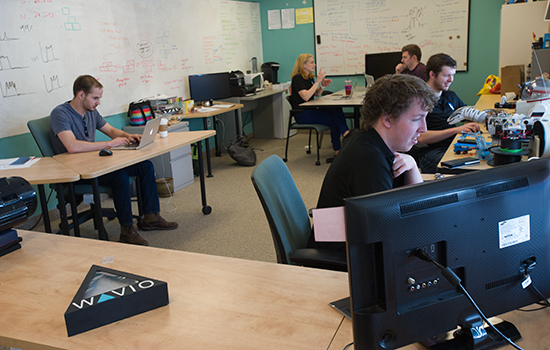 In the digital media space, RIT's Center for Media, Arts, Games, Interaction and Creativity has a Co-Up program which provides support to students to work full time in the summer to develop commercial products. “The entrepreneurship programs offered at RIT all help with generating prototypes and components, giving us access to mentors who give us valuable feedback, and just bringing general awareness to the projects,” said Pinheiro. Greyson Watkins, who is deaf and is a fifth-year computer security major originally from Durham, N.C., was at home with his young daughter when she tumbled down a flight of stairs. In a matter of months, Watkins and his team of fellow students— Chrystal Schlenker, of Rochester, N.Y., a fourth-year interpreting and business student in the School of Individualized Study; Zach Baltzer, a fourth-year microelectronic engineering student from Hilton, N.Y.; and Nicholas Lamb, a fifth-year electrical engineering student from Waterloo, N.Y.—formed Hz Innovations and created Wavio, a programmable and fully customizable tool that alerts deaf and hard-of-hearing people to sounds in their homes. Since Wavio won the top prize in NTID’s Next Big Idea competition in 2015, the product has been featured in the Saunders Summer Start-Up Program, Effective Access Technology Conference product competition and the RIT Business Plan Competition. The founders are now working on expanding their pool of investors and this past summer, the team completed production of its first 1,000-unit order. Dana Wolcott, lead innovation coach for the Simone Center, says that students from all disciplines—fine arts, engineering, business and computer science, among others—have participated in competitions and enrolled in applied entrepreneurship classes. And he encourages any student with a business or product idea to contact him or DeMartino at the Simone Center for advice and guidance. Upon completion of the applied entrepreneurship course, students are asked to write a personal reflection. While some students are ready to continue developing their ideas and take the next steps toward entrepreneurship, others realize that starting a business may not be in the cards. RIT hosts competitions and commercial activities that integrate academic initiatives with applied business creation and commercialization experience. For more information, go to rit.edu/simonecenter. 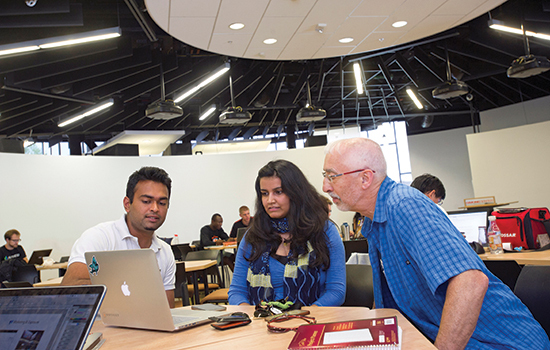 More than 350 entrepreneurship experts from the United States and abroad will attend the 2016 Global Consortium of Entrepreneurship Centers, co-hosted by University of Rochester and RIT Sept. 29 - Oct. 1. For a closer look at this summer’s student entrepreneurial programs, go to bit.ly/SummerEntrepreneurs.